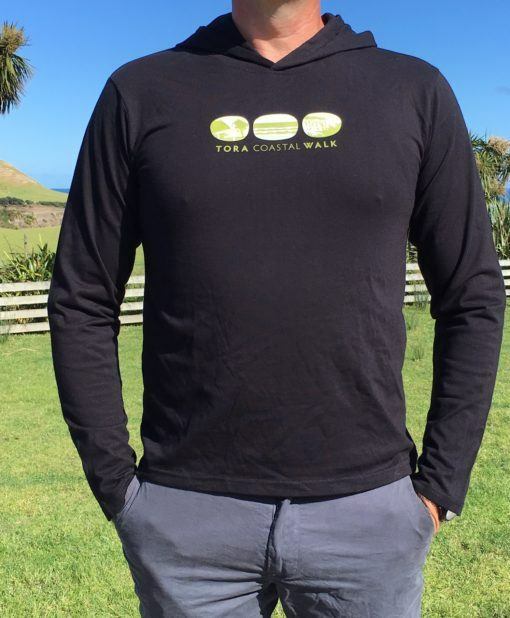 Men’s 100% cotton, long-sleeved hoodie. 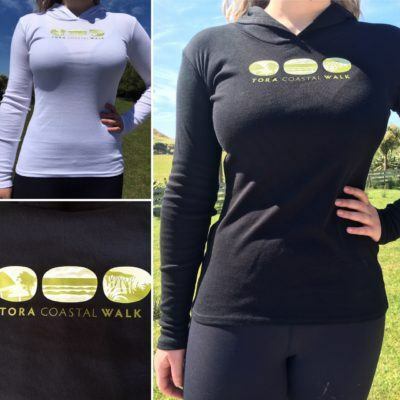 The perfect, soft hoodie in a design you’ll never want to take off. 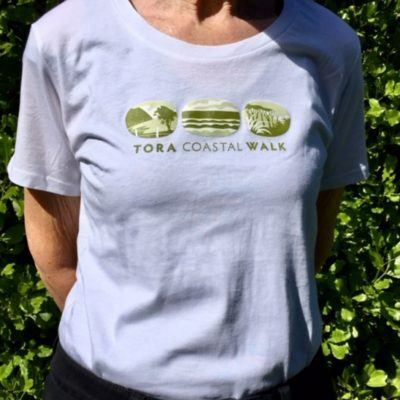 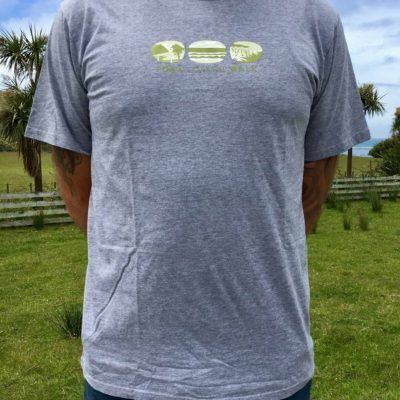 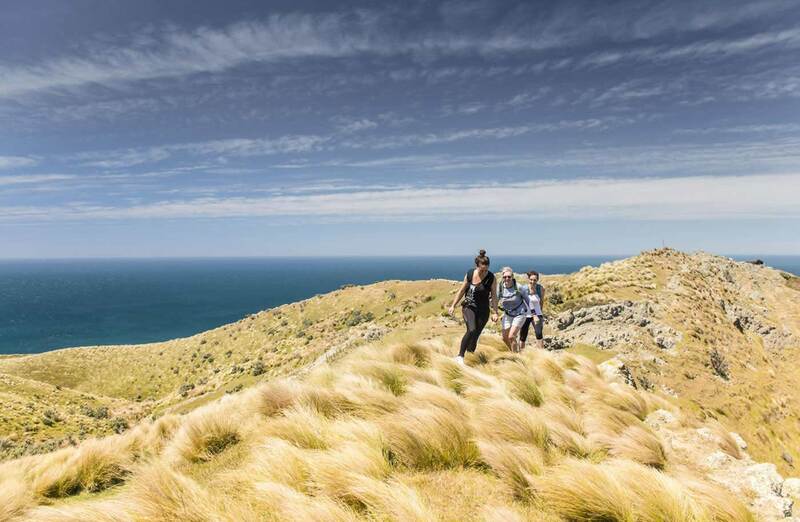 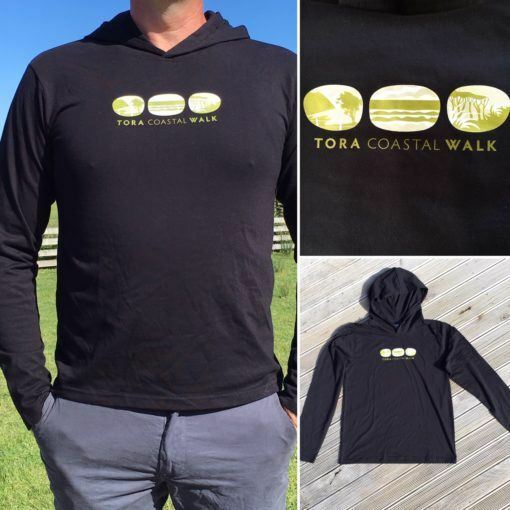 Look good and feel warm while doing the Tora Coastal Walk or take away a memory from your trip, with your own black cotton hoodie. Available in black.